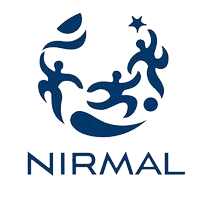 Nirmal is a brand reckoned with over 30 years of development in Mumbai. Its sustained development design for Mulund has earned a reputation of bringing the suburb to the forefront of city’s expansion. It has set a leading example of branded lifestyle residences in the country by launching India’s first Sports -lifestyle apartments – US Open Apartments, therefore adopting its philosophy of active lifestyle. It is an ISO 9001:2008 and ISO 14001:2004 certified company that lives to its promise to provide best in quality and design. Nirmal has been long reckoned as one of the Realty giants of Maharashtra. Insomniacs Digital Agency faced with the challenge of reforming the online brand reputation and increasing their social media presence. We started by launching a fortified microsite for the brand which redirected the audience from various social media pages to —–. We created a lead generation campaign which brought about a turnaround in conversions. Insomniacs defended Nirmal’s digital fort through complete all round digital campaign and strengthened their digital presence through SEO, SMM. #NirmalHomeDeliveryMovement was a campaign that was kicked off in the Social Media channels. This was followed by a strategy, which when unveiled on Social Media sent ripples in the Digital War front. The campaign was called #SharmajiKiKahani by Nirmal Lifestyle for Mulund audience. The objectives of communicating the financial scheme were achieved with the creative we designed, then we decided to level up the entire campaign by doing an amazing social media campaign. The idea & communication helped to fetch us 3600 leads for the ongoing campaign. The digital medium helped us reach the right target audience, indeed attracting more sales & success. The number of impressions was more than 30 lacs. This campaign helped us gain a long term relation with them. Nirmal’s Kalyan campaign, on the other hand, was referring to the challenges of making the Social Media Presence stronger, building online brand reputation followed by a lead Generation Campaign. We started with their microsite for which was followed by SEM and SMM. #SwitchKarMumbaikar was a campaign that was kicked off in the Social Media channels. Soon a strategy would be unveiled on Social Media that would send ripples in the Digital War front called #MrRao&Family by Nirmal Lifestyle for Kalayan audience. The idea & communication helped to fetch us 1,000 leads in a span of 10 days. The number of impressions was more than 10 Lac impression. This campaign helped to garner confidence the in the minds of the target audience to buy.